Ideal to give as a gift! Personalize your travel experience with the OneTouch?. This is verified crowd-sourced data. Perfect for all cars, RVs, SUVs and trucks. Suction Mount & Cradle. Micro-USB Cable. The Connected Car?. for Everyone ?. Cloud Connected ?. Wi-Fi - Allows downloading of Cloud Connection features, use of Android browser and wireless software updates without an extra subscription. Windshield Mount. 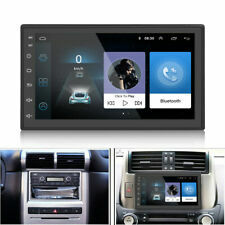 The RV9490T-LMB features a 7” HD Glass Touchscreen for crystal clear viewing and improved touch sensitivity. Magellan Bracket. A device's useful life is considered to be a maximum of 3 (three) years from the date of manufacture. Bluetooth Hands-Free Calling –Enjoy hands-free calling and superior sound quality with Bluetooth technology. Traffic Alerts. Landmark Guidance. Speed Limit Warnings. Junction View. Safe Driving Mode. There are a few tiny light scratches on the screen. The box shows heavier wear from storage. The back has som e light scratches. Magellan RoadMate 1700 Automotive Mountable. 7in screen. Charger not included. Used. See pics. Needs charger. Works! From hands-free calling and live traffic information to built-in Wi-Fi and more - the future is on your Garmin. Just look ahead and drive. For traffic alerts, relevant rerouting directions and up-to-date weather forecasts, download the Smartphone Link app, which connects your Garmin DriveSmart with your compatible smartphone.